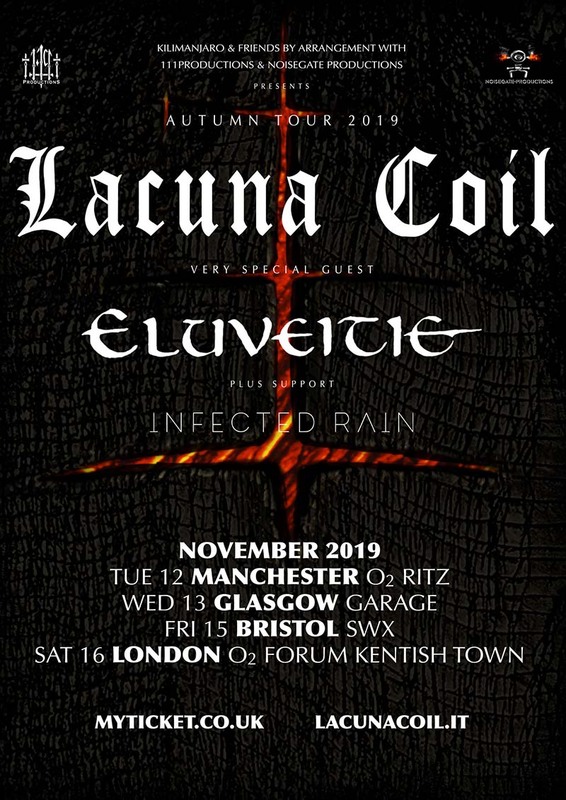 After the release of “The 119 Show - Live In London” LACUNA COIL are proud to announce they’ll be sharing stages with Swiss Folk Metal band Eluveitie and their friends in Infected Rain in fall 2019. To celebrate the 20th anniversary of LACUNA COIL’s debut they played an exceptional show on January 19 in London at the O2 Forum Kentish Town. The unique, one-time event was filmed and recorded for “The 119 Show - Live In London” which you can order here.